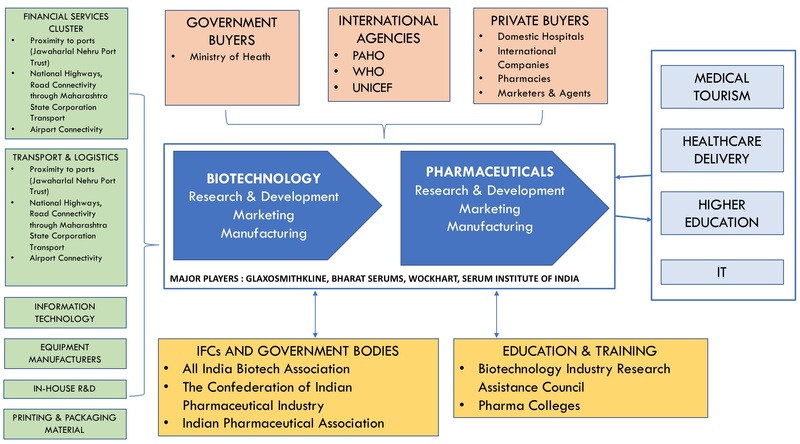 The above diagram shows the Biopharmaceutical Cluster in Mumbai. Creation and strengthening of regional clusters is very important for a nation to produce high value products and services. Clusters not only enhance the productivity of a region but also stimulate innovation by bringing together technology, talent, information, competing companies et al.